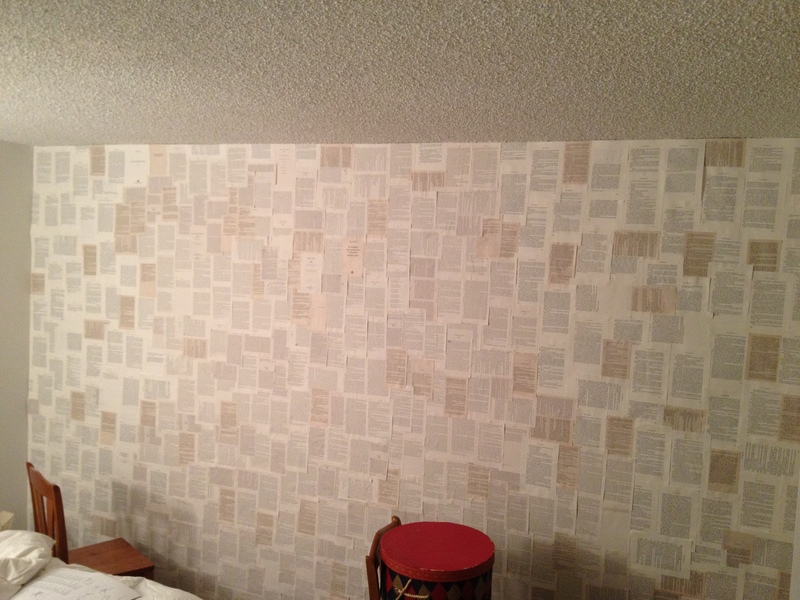 So I was looking for a way to put some sort of decoration on my wall without actually painting, when I came across the idea of doing a book wall. 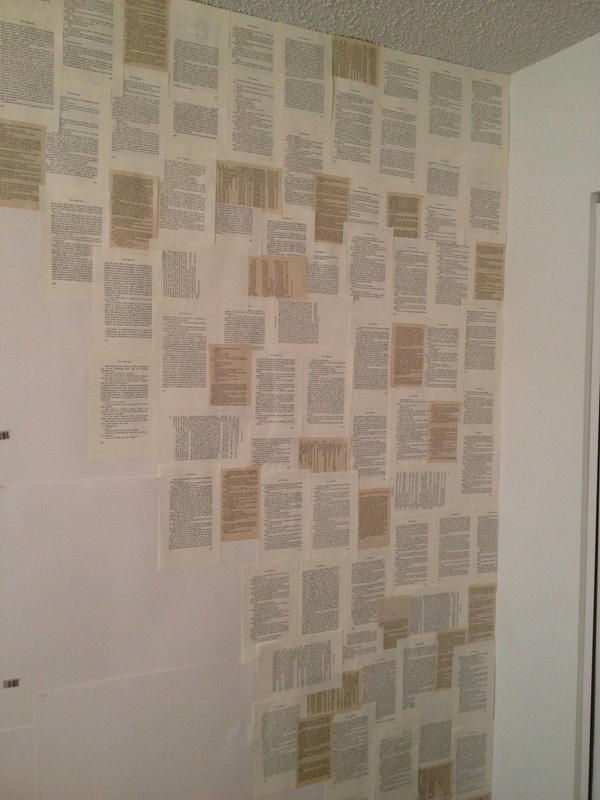 I guess a more accurate description would be a book-page wall, because you literally cut the pages out of a book and basically glue them to a wall (disclaimer, some books did fall casualty to this art project. They will always be remembered). 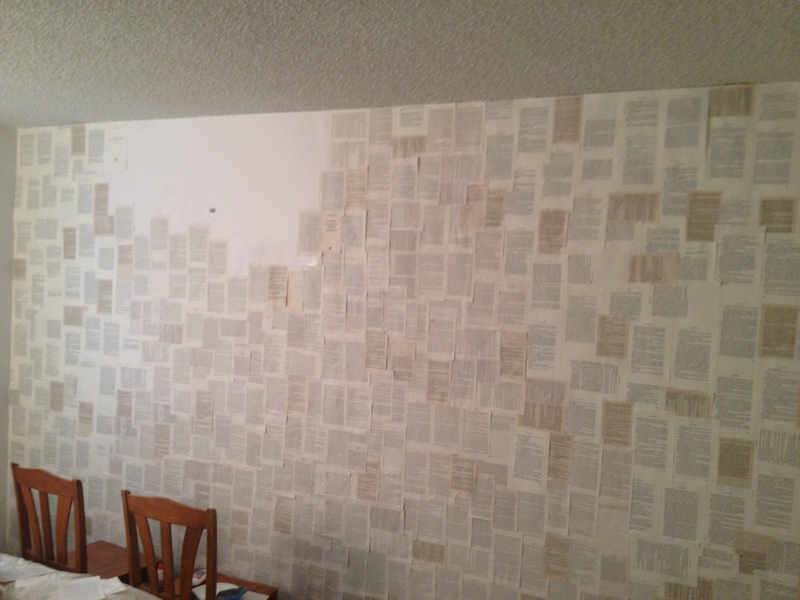 I didn’t want to just glue straight only the wall, because I live in an apartment and when moving day inevitable comes, I didn’t feel like scraping glue and paper off a wall. 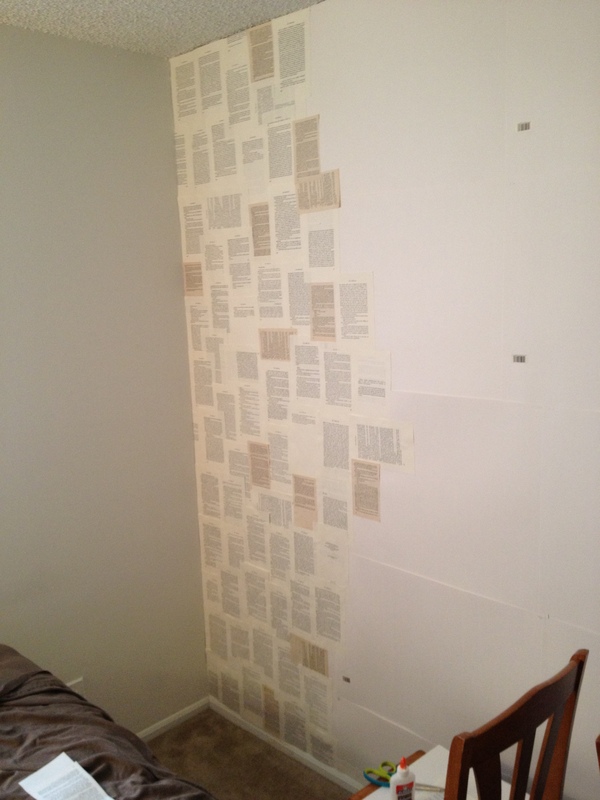 So Adora and I came up with the plan to staple large pieces of white poster board to the wall and glue on to those. It worked perfectly! 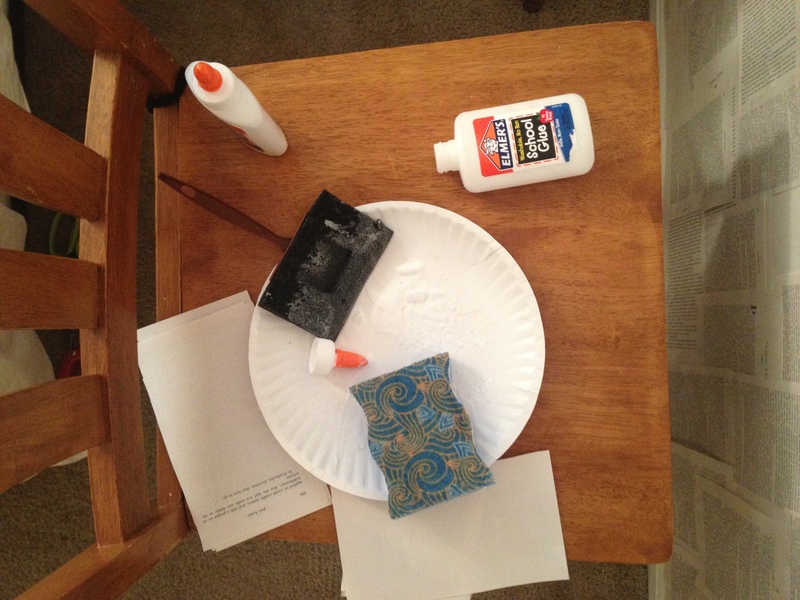 Cut, staple, glue, repeat. It’s a little time consuming, but the result is exactly what I was going for (a sort of Parisian loft feel…a girl can dream).